Cheri Hofmann Southeast ADA Center Distance Learning Coordinator / Information Specialist. Ms. Hofmann began her career in 1976 working with the Federal Government. She has worked at the Staff Judge Advocates Office as a paralegal and at the Equal Employment Opportunity Commission (EEOC) as a legal assistant. Her areas of experience include: technical writing, training, contracting, procurement, and architecture engineering /design. Throughout her career, Cheri has been involved in volunteering, fundraising or assisting with researching laws for people with disabilities. In 2000, Cheri began actively working with the Independent Living Movement as the Advocacy/Outreach Coordinator for the Center for Independent Living in Northwest Florida. She started several programs and coordinated training and awareness events such as the Parking Accessibility Resource Committee (PARC), Advocacy Council, and the University of West Florida Accessibility Committee. 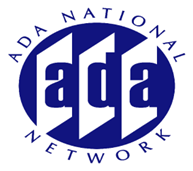 Additionally, she became a recognized voice in a four county region for businesses, people with disabilities, commissioners and legislators for her knowledge with the Americans with Disabilities Act (ADA).